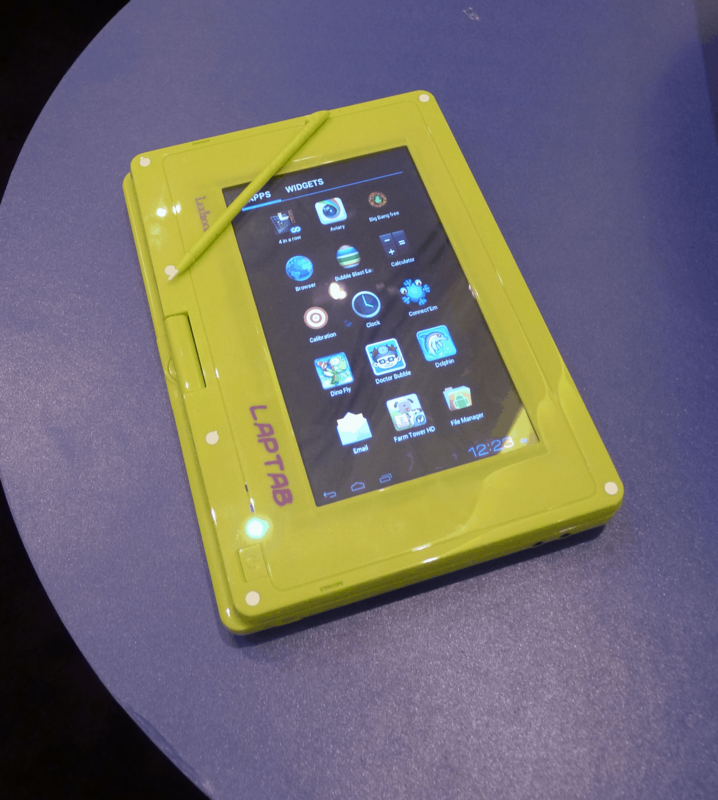 Educational tablets are a hot topic at CES this year with a number of companies like Vivitar/OLPC, Polaroid, and more showing off their idea of the tablet and apps kids should have. I was just at the booth of one of those companies today and it could be one you've never heard of. Lexibook is originally a French company which moved into the education market about 10 years ago. They entered the US market in August of 2012. This company has a number of different tablets on the market, and you can even find one at Toys R Us. But the gadget that most interested me today was the updated Laptab. This is a 7" netbook convertible running Android 4.0 on a 1GHz CPU with 4GB Flash storage, an SD card slot, a mike & speaker, and a screen resolution of 800x480. 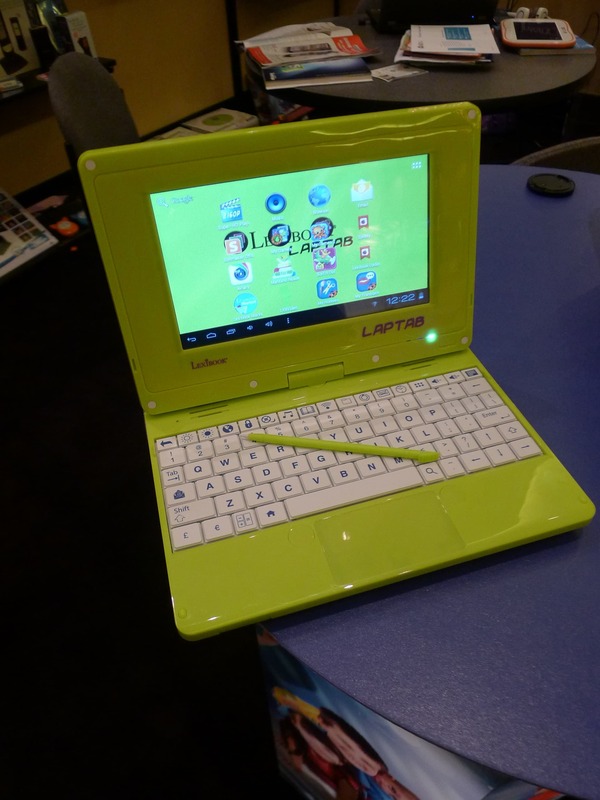 The keyboard had a custom layout with a number of keys set to fill the need of students, and unlike many Android netbooks the Laptab is also equipped with a capacitive touchscreen. The hardware was generally a little dated, but theere were signs that Lexibook put a lot of work into customizing it for use in school. I'm not terribly familiar with educational software, but I did drill down into the settings menu and learned that Lexibook had customized the Android firmware Some education Android tablets (the Polaroid PTab 750 in particular) run a stock Android with very few changes or additions. I have always had a fondness for netbook convertibles. I even own one, though that's not a model I'd recommend buying. While I know that a lot of schools are going for tablets because they are trim and efficient, I still need a keyboard and I love any hardware that combines the features of the tablet with a netbook. Aside from the green color I thought this was a very cool gadget. I'm currently working on getting a review unit, and I plan to post a review.